A self-identified “caricature,” with his dark glasses, powdered ponytail, black jeans, fingerless gloves and obsessive Diet Coke consumption, Lagerfeld was still a prolific designer and also a photographer, author and early adopter of new technology. 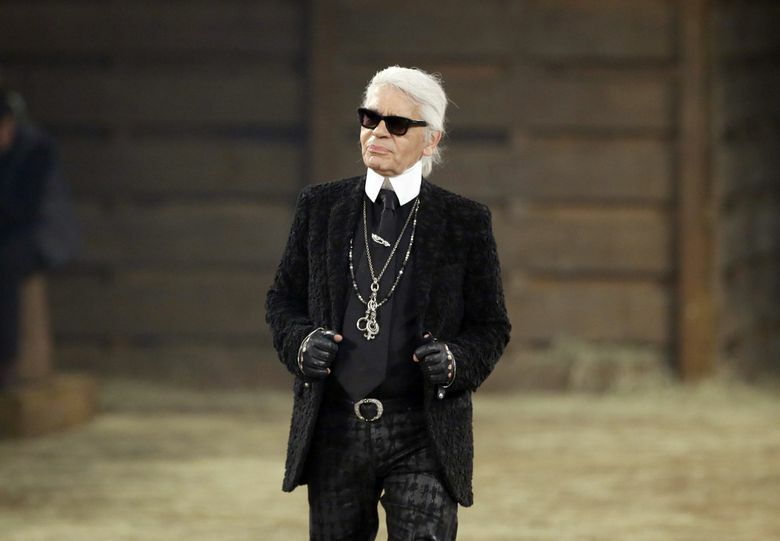 Karl Lagerfeld, the most prolific designer of the 20th and 21st centuries and a man whose career formed the prototype of the modern luxury fashion industry, died Tuesday in Paris. He was 85. His death was announced Tuesday by Chanel. “More than anyone I know, he represents the soul of fashion: restless, forward-looking and voraciously attentive to our changing culture,” Anna Wintour, editor of American Vogue, said of Lagerfeld when presenting him with the Outstanding Achievement Award at the British Fashion Awards in 2015. Creative director of Chanel since 1983 and Fendi since 1965, and founder of his own line, Lagerfeld was the definition of a fashion polyglot, able to speak the language of many different brands at the same time (not to mention many languages themselves: He read in English, French, German and Italian). In his 80s, when most of his peers were retiring to their yachts or country estates, he was designing an average of 14 new collections a year ranging from couture to the high street, and not counting collaborations and special projects. His signature combinations of “high fashion and high camp” attracted Rihanna; Princess Caroline of Monaco; Christine Lagarde, managing director of the International Monetary Fund; and Julianne Moore. “Ideas come to you when you work,” he said backstage before a Fendi show at age 83. As a result, Lagerfeld never stopped creating. 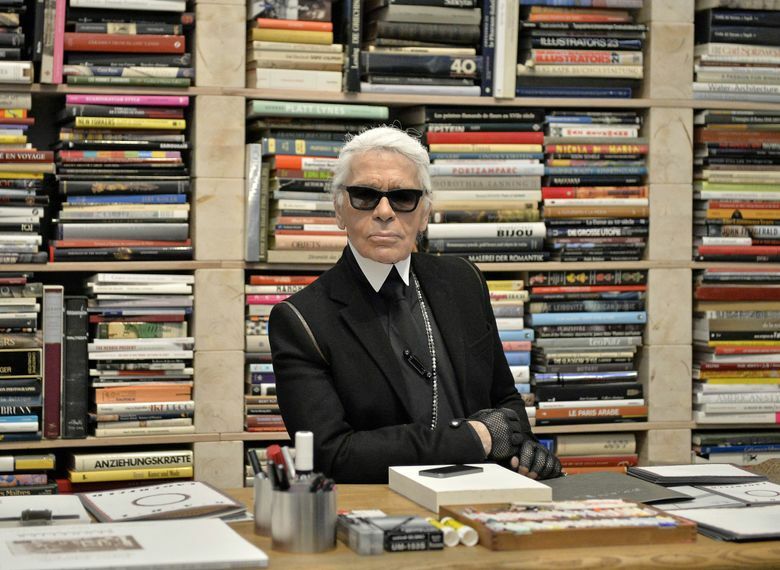 He was also a photographer, whose work was exhibited at the Pinacothèque de Paris; a publisher, having founded his own imprint for Steidl, Edition 7L; and the author of a popular 2002 diet book, “The Karl Lagerfeld Diet,” about how he had lost 92 pounds. His greatest calling, however, was as the orchestrator of his own myth. A self-identified “caricature,” with his dark glasses, powdered ponytail, black jeans, fingerless gloves, starched collars, Chrome Hearts jewelry and obsessive Diet Coke consumption, he achieved such a level of global fame — and controversy — that a $200 Karl Barbie doll, created in collaboration with the toymaker Mattel, sold out in less than an hour in 2014. He was variously referred to as a “genius,” the “kaiser” and “overrated.” His contribution to fashion was not in creating a new silhouette, as designers like Cristobal Balenciaga, Christian Dior and Coco Chanel herself did. Rather, he created a new kind of designer: the shape-shifter. That is to say, the creative force who lands at the top of a heritage brand and reinvents it by identifying its sartorial semiology and then wresting it into the present with a healthy dose of disrespect and a dollop of pop culture. This approach has become almost quotidian in the industry, but before Lagerfeld was hired at Chanel, when the brand was fading into staid irrelevance kept aloft on a raft of perfume and cosmetics, it was a new and startling idea. That he dared act on it, and then kept doing so with varying degrees of success for decades, transformed not only the fortunes of Chanel (now said to have revenues of over $4 billion a year) but also his own profile. And it cleared a new path for designers who came after, from Tom Ford (who likewise transformed Gucci) to John Galliano (Dior), Riccardo Tisci (Givenchy, Burberry) and Tomas Maier (Bottega Veneta). Those who wanted to dismiss Lagerfeld referred to him as a “styliste”: a designer who creates his looks by repurposing what already exists, as opposed to inventing anything new. But he rejected the idea of fashion-as-art, and the designer-as-tortured genius. His goal was more opportunistic. “I would like to be a one-man multinational fashion phenomenon,” he once said. Indeed, his output as a designer was rivaled only by his outpourings as a master of the telling aphorism — so much so that his quotations were collected in a book, “The World According to Karl,” in 2013. His personal proclivities were a constantly mutating collection of decades, people and disciplines. His one great fear was of being bored. His conversations (or monologues) could, in almost one breath, bounce from Anita Ekberg romping in the Trevi fountain, to how rich women in the 1920s slept under ermine sheets, and then to the Danish fairy tale illustrator Kay Nielsen. His one blind spot was his own mortality, which he refused to acknowledge. Karl-Otto Lagerfeld was born in Hamburg to Otto Lagerfeld, a well-off managing director of the German branch of the American Milk Products Co., and the former Elisabeth Bahlmann. His mother was Otto’s second wife, and Karl had both an older half sister, Thea, and an older sister, Martha Christiane. His mother was, by all accounts, the single most formative influence on her precocious son, who often reported that he had disliked his childhood. His father moved his family to a small town in the north of Germany during World War II, and Karl, who was given to wearing a formal suit and tie to school, did not exactly fit in. Karl escaped to Paris as a teenager, and though he did not go to art school or receive a classic fashion education, in 1954 at age 18 he entered a fashion competition called the International Wool Secretariat (now reborn as the International Woolmark Prize) and won the coat category; Yves Saint Laurent, also a young designer, won in the dress category that year. Lagerfeld was hired at the couture house of Pierre Balmain and remained for three years until he left for Jean Patou. He stayed at that house for five years, until deciding to trade the more rarefied environs of the couture for a freelance career in the emerging world of 1960s ready-to-wear. He went on to do freelance design work for Krizia, Ballantyne, Charles Jourdan and Chloé, where he stayed for over 10 years and became close to the founder, Gaby Aghion, developing his trademark irreverence for style’s sacred cows. The approach could also been seen at Fendi, starting in the mid-1960s when Lagerfeld was brought in by the family to transform the brand from boring bourgeois furrier into hip fashion name. He refused to treat luxury pelts such as mink and sable too preciously. Instead, he shaved them, dyed them, tufted them and otherwise created the concept of “Fun Fur,” which gave the brand its enduring double F logo. He also started collecting: furniture, books, magazines — even apartments. He would delve deep into decades and their aesthetic movements, from Art Deco to Memphis, the Bauhaus to the Space Age, and then discard them, auctioning off his carefully curated acquisitions without nostalgia or emotion (a characteristic of his personal relationships, too, according to those who knew him). Lagerfeld left Chloé in 1982 and took on Chanel — returning first to the haute couture, and the next year to ready-to-wear. It proved an alchemic combination of designer and brand, given the house’s rich iconography (ropes of pearls, camellias, bouclé, Cs), which Lagerfeld treated like toys that were his for the twisting. A photograph of the original supermodels — Linda Evangelista, Claudia Schiffer, Christy Turlington — as a motorcycle gang in pastel colored Chanel bouclé minisuits and biker caps captured his iconoclasm. Women were breaking glass ceilings and refusing to play by the old rules, and Lagerfeld transformed Chanel into the armor they could wear to do it. His work so clearly expressed the ethos of the moment that Lagerfeld’s early “muse,” model Ines de la Fressange, was later chosen as the model for a new bust of Marianne, the symbol of the French Republic — at which point Lagerfeld, incensed at the idea of having to share her, ended their professional relationship (though years later they made up). Celebrities flocked to Chanel and Lagerfeld, who seized on the marketing possibilities. He teamed up with director Baz Luhrmann and actress Nicole Kidman to make short promotional films, later directing Kristen Stewart and the singer Pharrell Williams in his own minifeatures about Chanel. As social media exploded, Lagerfeld understood early on how widely disseminated images had the power to transform a show for the trade into a show that would resonate in the digital wilderness. He trucked in a 265-ton iceberg from Sweden for one collection, and built an airplane hangar, a brasserie and a supermarket (stocked with Chanel dishwasher powder and Chanel pasta) for others, all in the confines of the Grand Palais, his Parisian presentation venue of choice. While his professional life became ever grander, however, his personal life remained a mystery. Lagerfeld lived alone — with a Birman cat called Choupette, who became as famous as her master, with her own maids, pillow, diamond necklaces and Instagram account — in a Left Bank apartment crowded with books and clothes. At Lincoln Center, he estimated his library at 300,000 volumes. He told Susannah Frankel of the British newspaper The Independent that he had more than a thousand of his signature white Hilditch & Key shirts. He traveled with an ever-shifting entourage, though his godson, Hudson Kroenig, was something of a constant in recent years. 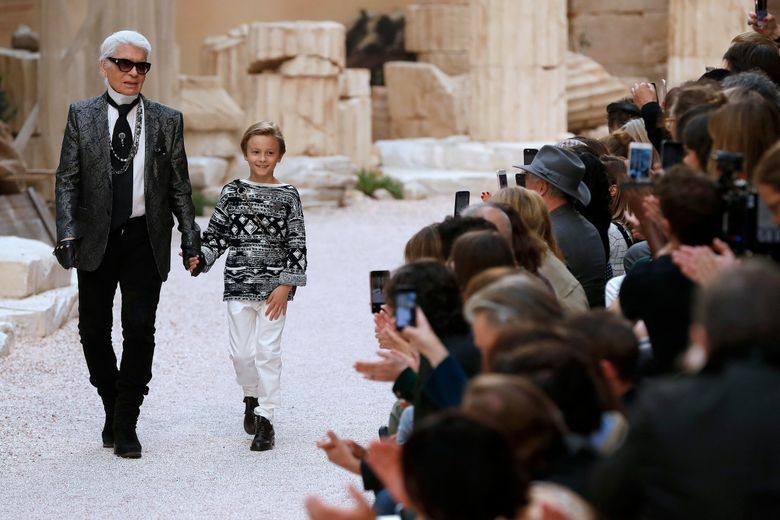 Son of one of Lagerfeld’s favorite male models, Brad Kroenig ( Lagerfeld used to accessorize his Chanel shows with the occasional man), Hudson would often appear on the runway with Lagerfeld to take a bow. 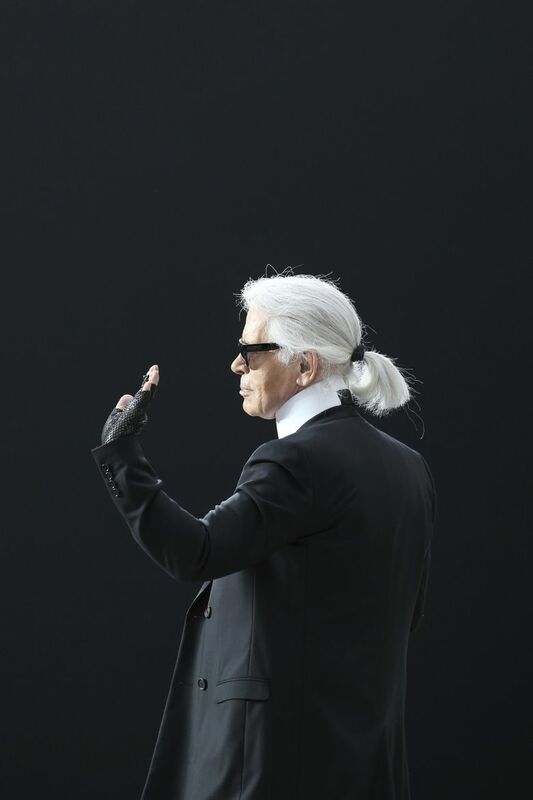 Though rumors often circulated that Lagerfeld was sick and about to retire, he never did. He had a lifetime contract with both Chanel and Fendi, and he exercised it. If he stopped, he would say when asked, he might as well stop breathing. Lagerfeld was responsible for so many shows, stores and events that in 2017, Anne Hidalgo, the mayor of Paris, awarded him the city’s highest honor, the Medal of the City of Paris, for services to the metropolis. Toward the end of his career, fashion was troubled by questions over whether it was demanding too much of its designers, but Lagerfeld had no truck with any complaints. His pretensions were not to the eternal, but to the ephemeral. In the end, however, with the personal brand that was Karl Lagerfeld, he may have achieved both.